ReviewNaija has spurred my enthusiasm to be a little more outgoing, which I think is pretty cool. To the jist of the day…Got a ticket to the first ever City People Political Excellence Awards, tagged “Honouring politicians who are making the difference”. 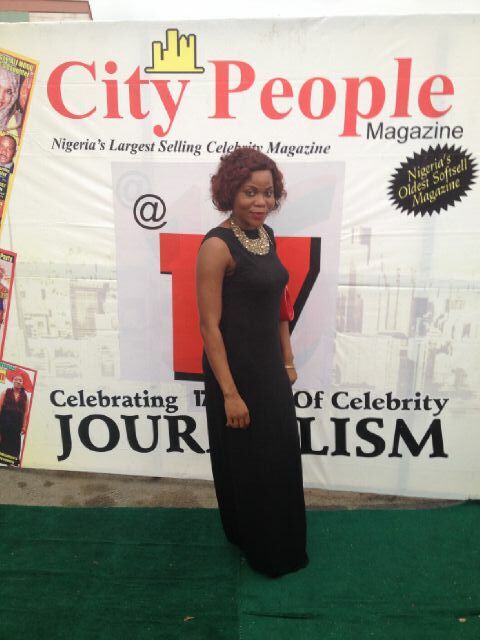 City People Media Group, owned by Seye Kehindeis, is a leading celebrity, fashion and society magazine intimating its valued customers with trending information. City People has in the past recognized folks in the entertainment industry, but the 2014 Political Excellence Awards was the first of its kind, and borne out of the need to create a platform through which individuals and stakeholders in politics who have done exceptionally well, could be recognized and honoured. 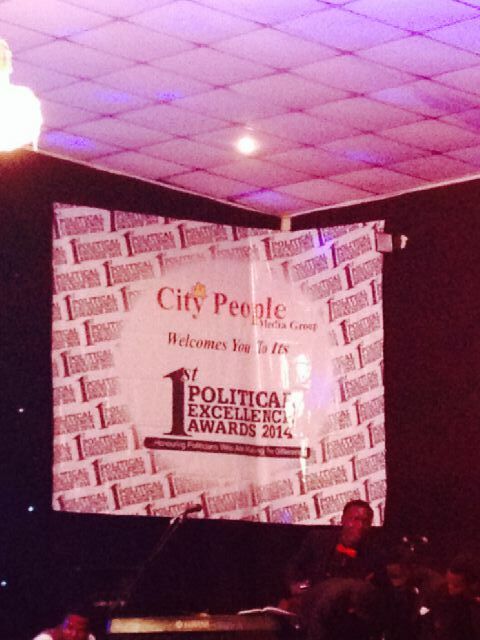 Programme: The award was slated to start at 2pm, but officially kicked off at 4:10pm. The comperes were MC Abbey and Adetola Kayode. We rose to the national anthem after which SB band serenaded us with good music. 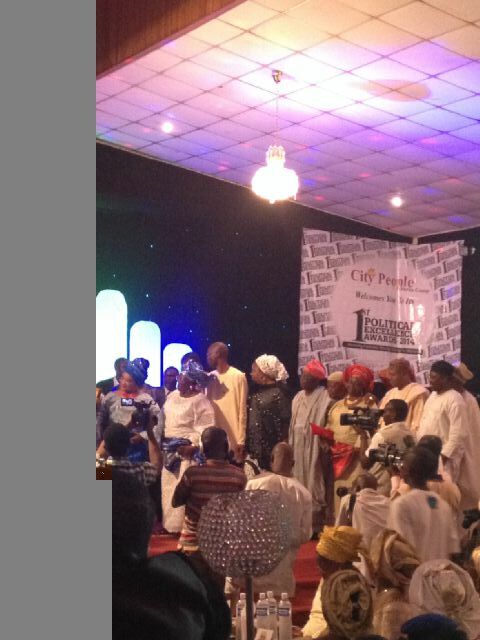 Dignitaries, Nollywood actors, and artists were present, including Ngozi Nwosu, Femi and Salami Adebayo, Alariwo, wife of the Ekiti Governor and her deputy governor, LIRS Executive Chairman, Babatunde Fowler, commissioners and politicians and their entourage from different parts of the country -Zamfara, Osun, Ekiti, Kaduna, Bayelsa, Rivers and Lagos. 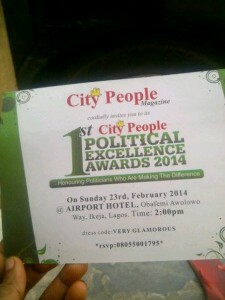 The awards were in three segments. 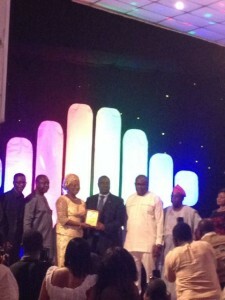 The 1st set of awards was presented by Leke Pitan (ex- commissioner for health). The second set presented by Deputy Governor of Ekiti State, Prof. Modupe Adelabu, and Hon. James Falake. I left after the second set of awards were presented (around 6:45pm). I feel this a good scheme to encourage our patriotic politicians, and acknowledge the fact that they are not alone. 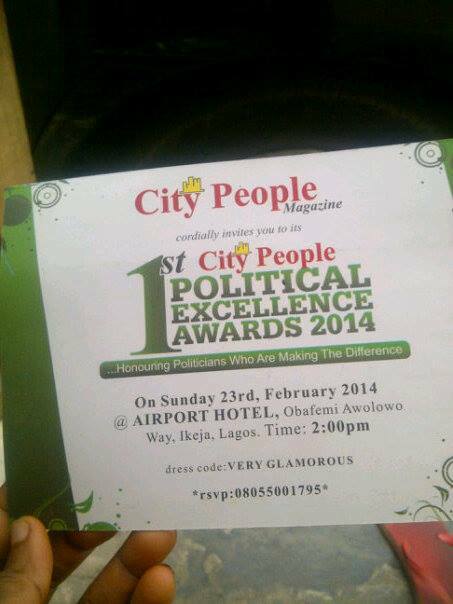 We’d like to know what your opinion is regarding this award. Did you attend this event? or do you think it’s a good idea? Why or why not?